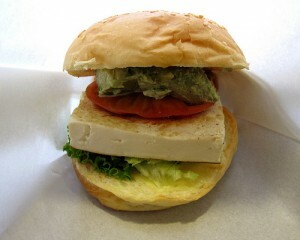 A Japanese hamburger restaurant, Freshness Burger has a unique feel of America and Japan. The concept of the restaurant is “Burger Cafe that adults can feel at ease”, and the early American style interior makes calming atmosphere. 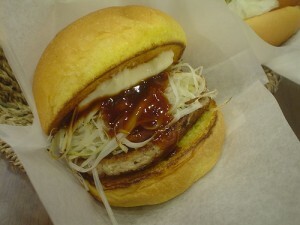 While serving classic hamburgers and hot dogs just like other fast food restaurants, they also serve their original burgers such as Negi (spring onion) Miso Burger, Spam Burger and Bacon Omlet Burger. 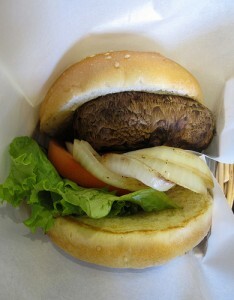 Their vegetable burgers are popular among not only vegetarians but also dieters. balsamic vinegar sauce, grilled onion, tomato and green-curl lettuce. Although Freshness Burger is called a fast food restaurant, they serve variety of drinks, including hot drinks, fresh squeezed juice, smoothie and even beer too! Because they cook after they got order, the food tastes really good, but the prices are not so bad. Eagerly-Awaited Pink Hello Kitty Contact Lens Comes Out Soon! !